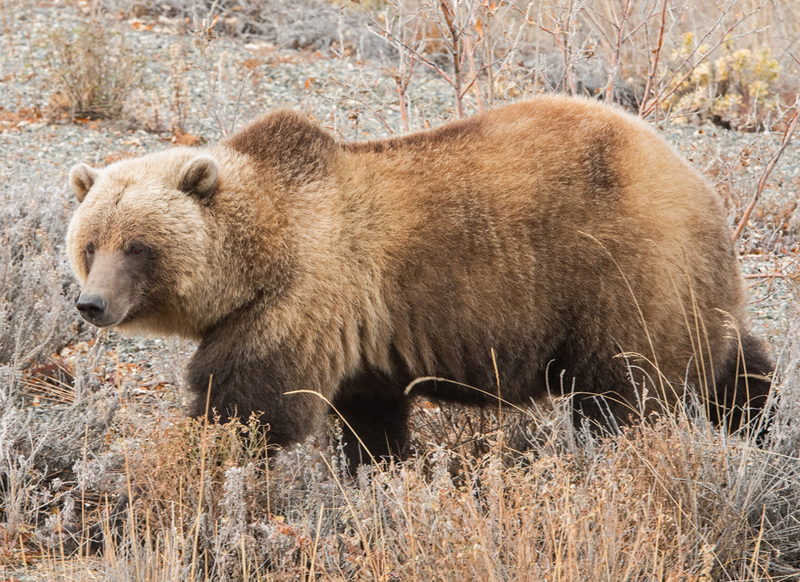 Spent a quiet half hour near this gorgeous male grizzly in early October, just a few feet off the Alaska Highway near Kluane Lake. I’d just driven hundreds of miles through the first snow of the season, heading south from Fairbanks to Haines There was a tremendous wind ripping whitecaps across the lake, and this bear was peacefully browsing on berries and starchy roots. He was fully aware of me but calm and almost sociable.